With technology growing at such a rapid pace, car manufacturers are always trying to stay ahead of the times by bringing us the newest advances in automotive technology. And why wouldn't they want to when modern cars look, sound and feel far better than their older counterparts, and are reported to be more safe and secure? However, this doesn't mean that modern technology is always useful. With technology growing at such a rapid pace, car manufacturers are always trying to stay ahead of the times by bringing us the newest advances in automotive technology. And why wouldn't they want to when modern cars look, sound and feel far better than their older counterparts, and are reported to be more safe and secure? With automakers investing billions of dollars to put new technologies in their vehicles, some of the most consumer-neglected features include in-vehicle concierge services, mobile routers, automatic parking, head-up displays and built-in apps. According to J.D. Power, at least 20 per cent of drivers do not want these features in their vehicles as they can be found on a typical smartphone or a tablet. "In many cases, owners simply prefer to use their smartphone or tablet because it meets their needs; they're familiar with the device and it's accurate," said Kristin Kolodge, executive director of driver interaction and HMI research at J.D. Power. "In-vehicle connectivity technology that's not used results in millions of dollars of lost value for both consumers and the manufacturers." A new forecast predicts that shoppers worldwide will also spend less on gadgets in 2015 than they did in 2014 -- the first drop since 2010. This could be a sign that we may be experiencing what many refer to as "gadget fatigue." It's not that drivers don't want new technology -- there's just too much of it. There is also a growing concern among insurance companies and researchers that new in-car technology may just be too distracting for modern drivers, which can increase the risk of accidents. This technology can be especially distracting for drivers who are unfamiliar or don't know how to use this new technology in their car. 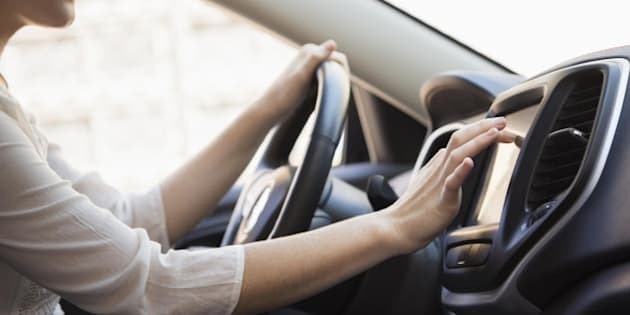 In fact, this could involve drivers taking their hands off the wheel or eyes off the road for longer periods of time, leading to a higher chance of an accident on the road. "While some technologies, such as lane-departure warning, are making vehicles safer, the insurance industry is very concerned about the driver-distraction hazards caused by some of the other technologies," shares Chip Lackey, senior director of the insurance practice at J.D. Power. These other technologies include cluttered steering wheel consoles, active touch screens and dashboard night vision. As technology becomes more complex, repair bills will start to grow bigger, which makes owning a modern car more expensive than ever. For instance, the cost of replacing collision avoidance system components, such as radar sensors, is about $1,000 per item. In some cases, the cost of inspecting some of these devices alone can be significant due to their location. Additionally, in-vehicle technology can significantly increase claims costs for vehicles damaged in an accident. "A slight bumper scrape that would normally cost a few hundred dollars to repair can catapult a claim into thousands of dollars when a park assist camera or other sensors are damaged," explains Lackey. If you want to ensure your monthly bills remain affordable, start by creating a budget for your car and then estimate your monthly payments with the handy calculator found right here. If you really want to avoid paying for expensive repairs, just pick a vehicle with fewer tech gadgets.